Showman is now recognized as a women-owned certified business (WOSB) by the WBENC. Click here to learn more. 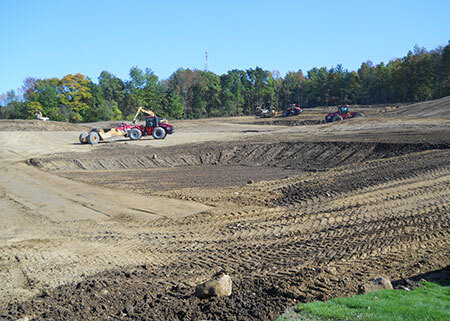 Showman Excavating has a fleet of state-of-the-art operating equipment to handle a variety of different large-sized commercial excavating projects including underground utility installation and site preparation, parking lot construction, and mass excavating and grading. Let our years of experience across a wide variety of excavating projects make your job easier! I want to take this opportunity to offer our thanks to you and your employees for the outstanding work that you have performed for Waste Management of Pennsylvania over the years. Waste Management of Pennsylvania, Inc.